WARNING: Stranger Things Spoiler Alert! If this headline doesn’t ring any bells then you probably haven’t seen the 80s reminiscent series, Stranger Things - one of Netflix’s most buzzed-about and best-reviewed original series in 2016. But if you have, like me and millions of others, you are probably also crazy excited to learn that Season II is coming this year at Halloween (how appropriate, right?!). And while we wait, why not spend the time talking a little bit about Stranger Things and how it relates to our world here on the blog? The first thing I’ve noticed is how the apparent disruption of Upside Down and its disturbing resident (or maybe residents?) shows up and disturbs the peace in the small town of Hawkins. As the plot develops, we learn that the gates to Upside Down, the disturbing parallel universe next to ours, only darker, emptier and smothered in disgusting goo, has somehow been cracked open by the mysterious girl Eleven as a consequence of some brain experiments led by Dr. Brenner at the Hawkins Laboratory. But we have to presume that this parallel world has always been there, however invisible to the residents of this world. As one of the main characters, the boy Dustin, reads from a Dungeons & Dragons book about The Vale of Shadows, another parallel universe similar to Upside Down: “It is right next to you and you do not even see it." But now, all of a sudden, hair-raising creatures, supernatural forces, and blinking lights, begin to creep into the town of Hawkins. I can’t help but compare this to the parallel ‘world’ next to businesses; the world of data management systems. See, just like accidents in Upside Down leave strings in the physical world, so do accidents in the data systems. At their best, these systems keep business processes running smoothly – they’re basically invisible, just like Upside Down – but at their worst, when they’re not working as they should, they become very visible indeed as they have a direct negative impact in the real world. That’s where duplicate data, bad or missing product information, long turnaround times and much more will show up in an organisation. Hopefully, neglected or missing data won’t come bulging out of your walls or kidnap you into another dimension, but it will definitely disrupt your business if you ignore it. If you want to know "Why Darth Vader Must Have Had Master Data Management" find our post about it here. The second thing I’ve noticed is that the good people in Stranger Things are really bad at sharing information, making their efforts both risky and ineffective. We basically have four different groups with the same goal, each doing their own thing. We have the DD boys (Lucas, Dustin and Mike – DD is short for Dungeons & Dragons, by the way) and the girl Eleven. We have Nancy and Jonathan. We have Joyce, Will’s mom. And then we have Sheriff Hopper. They all have the same objective: To locate Will (and Barb) and find out what is going on in their little town. They all take different paths to get to the same destination and along the way, each group discovers critical information. Now, if they shared all of that information from the beginning they would have solved the mystery a lot faster and with much lower risk. Regardless, it’s not until episode seven that we see the different groups join forces and put the puzzle together. This happens to be the same in organisations in the real world. Yes, this is 2017, not the 1980’s, but we still see many large corporations working in data silos. In order for companies to work more effectively and with lowest risk possible, they need to break down those data silos. Learn how the Dark Knight's Multidomain MDM Strategy gives Him The Edge In Our Batman vs. Superman blog. Okay, we have a gigantic laboratory kidnapping a baby out of her mother’s womb, doing evil human experiments, and summoning disgusting flesh feeding creatures. How on earth can these people be so totally unprepared for a full-blown catastrophe? I know it may be rather difficult to prepare for crack-the-entry-to-a-parallel-universe-walls. But even so, it seems that Dr. Brenner and his team have totally underestimated the safety, risks, and crisis management of their risky business. To dam the catastrophe, Hawkins Lab should have identified exactly where it went wrong (kidnapping a baby? releasing a monster? there are many options), correct the cause of the error, and communicate to the outside world to enable them to take precautions. Exactly like food manufacturer Mars did when they did a recall of Snickers bars that could contain plastic pieces, and thereby successfully avoided irreplaceable brand damage. That’s exactly what Hawkins Lab chose not to do. Instead they tried covering their shady actions by killing people, fabricating a fake boy corpse, and totally ignored the threat against the residents of the rest of the town. If they had been as smart as Mars, they would have made better choices. And then maybe poor Barb wouldn’t have been sitting on the edge of the swimming pool of death on a foggy night. In the real world, companies need to be agile and prepared to handle any crisis, be it a product recall or a data leak. In order to handle such crisis, it’s crucial that they can manage every single piece of data along their supply chain at every stage of a product’s life. 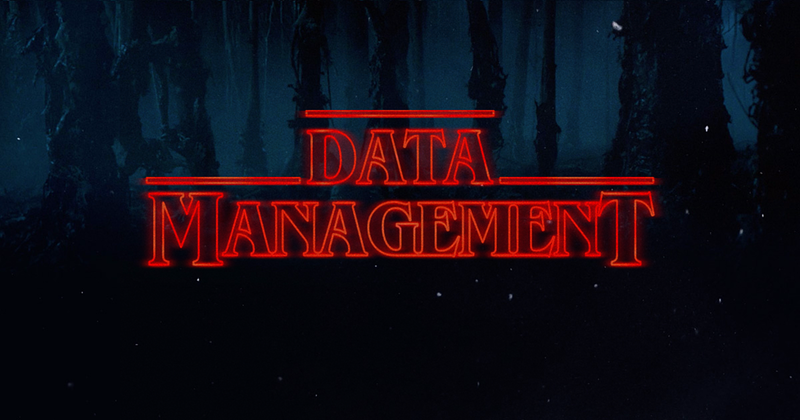 All being said, Stranger Things wouldn’t be as successful of a series if the characters acted on basis of good data management. After all, the straightway isn’t always the most interesting way in fiction. However, in real life, organisations that do base their business on good data management are actually the most successful. Now that is data management turned Upside Down. 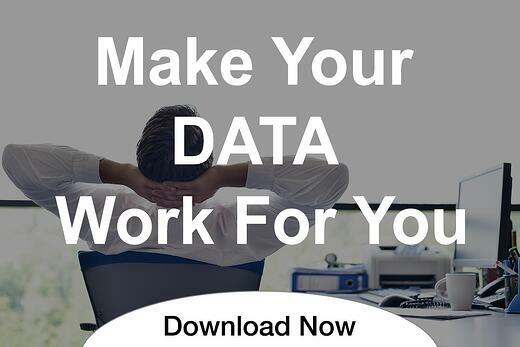 If you want to learn more about the importance of data quality, you can download our free white paper: "It's Data Quality's World, We're Just Living in It".